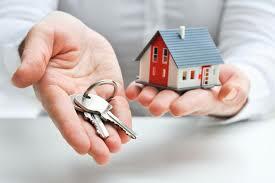 Purchasing your first home is one of the most important financial decision you ever make. Once the crucial decision to go ‘home shopping’ has been made, you will realize that there is a host of options and simply going through the different alternatives may turn out to be an experience in itself. However, there really is no need to panic as there are many first time buyer tips that can help you in making that all-important decision. Home buyers need to understand if and how much they qualify for before searching for that perfect home. It’s important to talk to a mortgage specialist and understand all the latest first time buyer programs available in 2018. FHA, USDA, VA government-backed loans are all popular choices as they offer little to no down payment. In addition, these programs offer secure fix rate terms with no adjustments in payment. Let us say for instance that you are interested in a specific house that may have caught your eye, but at the same time, you are not really sure it’s in your desired price range? This is why you should never put the cart before the horse and start looking for houses ‘before’ deciding on your budget, and getting pre approved well in advance. In fact, the very first thing that you have to decide after you have settled on a potential budget is to figure out exactly what you can afford with reference to your ideal price range, and by extension what you cannot. And if you find yourself opting for a house that you cannot afford but badly want, then do the right thing, and firmly walk away. The last thing you want is to be saddled with a huge mortgage that your monthly income cannot fully support. While acquiring financing is one thing, setting yourself up for a perpetual debt trap is not the way to go. This will save you from a lot of anguish when it comes to making a selection and you find that your ‘dream house ‘is way over your current budgetary resources. You can always use a mortgage calculator to determine precisely what you can or cannot afford when it comes to making monthly payments for your new home. See the FHA mortgage calculator on the lower right side. This is also important since upfront costs are not the only ones you have to take into consideration. There are taxes to pay, furniture to buy, and repairs to make till it is customized as per your own requirements. A simple rule of thumb: If your monthly mortgage payment exceeds 30% of your total monthly gross income, it’s likely too much. Maybe time to move on and find something more affordable. Many newly constructed homes tend to be covered by a vast range of warranties that may include not just the actual construction itself, but also many different appliances that may come alongside the new house. Furthermore, the appliance manufacturers of HVAC units, etc, may also offer stand-alone warranties of their individual products. This way, if any system fails during the warranty period, the prospective homeowner can rest assured that he will not have to pay all the hefty repair and replacement bills. It’s a general rule that many, newly constructed houses tend to come fully equipped with a diverse array of different yet required safety devices as well as features. Most such homes actually have been constructed with different types of fire retardant construction materials and typically come suitably equipped with many built-in features such as burglar and fire alarms, carbon monoxide detectors amongst others. The peace of mind they guarantee is usually only offset by the hefty bill they generate. However, there is one key factor in which an old home can easily beat a brand new one, and that is the lower initial price. This is by far and large the single most important reason most prospective house owners tend to prefer older houses over their brand new counterparts. When the price of a piece of property is less than twenty percent when compared to other properties, then it is not a very difficult decision to make when one is on a low budget. And the same holds true for many well maintained and neat and clean properties. (Houses in a slight state of disrepair are even less expensive). Old or new, big or small, ‘home is where the heart is’, and once you have made up your mind to go for a home for yourself and your family as per your budget, then simply take the plunge and move to your new house! Historically speaking, homeownership continues to remain a great way to build long-term wealth.